The chairman of a multi-committee hearing of lawmakers probing Friday’s deadly attack on the Resorts World Manila (RWM) casino venue (pictured in an archive photo) in the Philippine capital said the incident threatened the country’s position as an emerging tourism and entertainment market. “We won’t be able to achieve this if our investors and Filipino people do not feel safe,” said Representative Gus Tambunting, on the opening day of the inquiry on Wednesday, as quoted by the Philippine Inquirer newspaper. As recently as May 19, a note from brokerage Aegis Capital Corp said the City of Dreams Manila casino resort, another venue in the capital attracting international visitors, was likely to benefit from rising numbers of Chinese visitors to the Philippines. “According to reported statistics, in January to February, visitation from China to the Philippines was already +25.4 percent [year-on-year],” wrote Aegis Capital analyst David Bain. He also mentioned a media report – citing comments by the Philippine ambassador to China – that visitor visa applications by Chinese citizens had recently risen 200 percent. Philippine police said at least 36 people died in Friday’s incident at Resorts World Manila, another of the new generation of private-sector, international-standard casino resorts encouraged by the country’s regulator, the Philippine Amusement and Gaming Corp (Pagcor). According to the police, most of the victims at Resorts World Manila are thought to have perished as a result of suffocation – after the armed attacker, Jessie Javier Carlos, set fire to several gaming tables on the main gaming floor. Philippine media outlet ABS-CBN News reported on Tuesday – quoting Taiwanese government representative Gary Song-Huann Lin – that the families of four Taiwanese victims of the Resorts World Manila attack are seeking compensation from the gaming venue for the death of their relatives. At Wednesday’s joint committee hearing of the House of Representatives – held at Manila’s Ninoy Aquino International Airport, across the road from Resorts World Manila – the casino property’s chief operating officer, Stephen Reilly gave evidence that, after a review of security camera footage, there were indications of some security lapses at the time of the assault, with certain areas of the building left without the necessary security personnel. Andrea Domingo, head of Pagcor, said in Monday comments that she did not expect the incident would push the country’s casino industry off track from achieving its target of PHP60 billion (US$1.21 billion) revenue in 2017. The image of the Philippines as a safe place for tourists had previously been affected by an August 2010 incident when eight Hong Kong visitors aboard a tourist bus in Manila died in a gun battle after a disgruntled former Philippine National Police officer hijacked it. During Wednesday’s probe into the Resorts World Manila attack, some members of the House of Representatives criticised Pagcor for not immediately suspending the property’s licence. 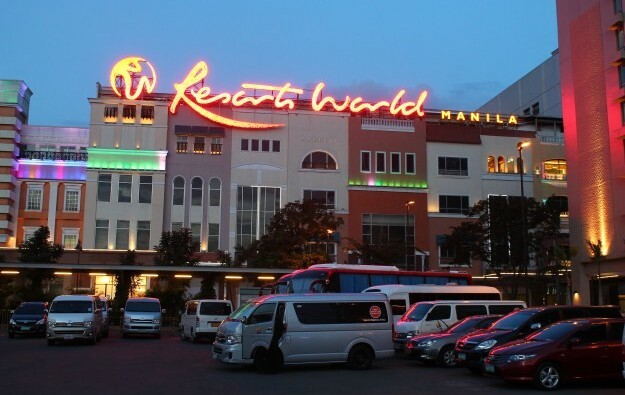 “Resorts World Manila’s franchise should be automatically suspended, like what LTFRB [the Land Transportation Franchising and Regulatory Board] did when a bus line was involved in an accident,” Representative Pantaleon Alvarez said, as quoted by the Business Mirror newspaper.